Himalayan pink salt milk chocolate bar.Remember the first time you savored a premium variety of rich chocolate with a lingering salty aftertaste? Himalayan pink salt milk chocolate bars are here to revive your memories. Buy Himalayan pink salt online from Smoor chocolates and experience a sheer sweet-n-salt delight! This unique chocolate uses finely blended rich cocoa and a touch of salt. The combination results in a delicious, creamy chocolate with aromatic notes of refined cocoa, brown sugar and light caramel. Fine Himalayan pink salt is sprinkled on top of the bars to enhance the texture and taste. 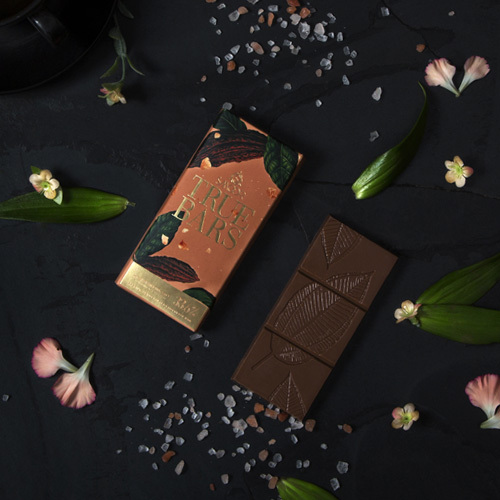 Smoor presents you an exclusive collection of Himalayan pink salt milk chocolate bar online. Relish the treat yourself or gift it to your dear ones, this delectable variety of chocolate is crafted to evoke happiness with every bite!